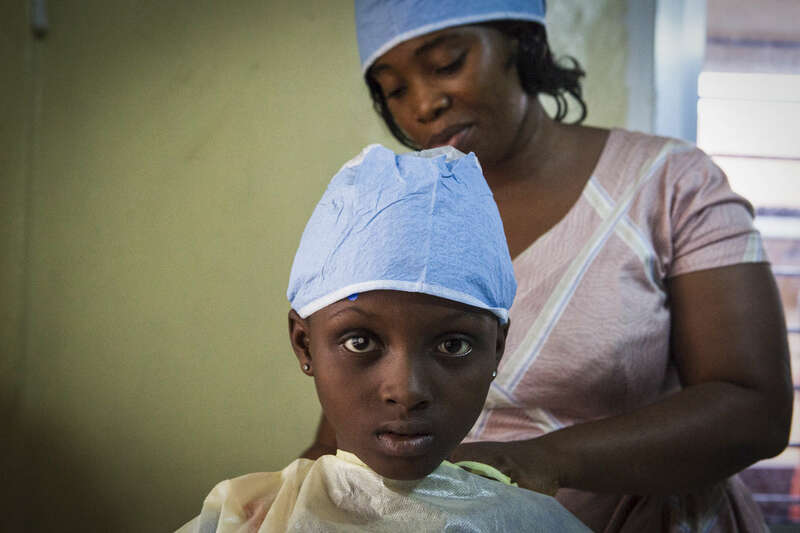 Aminata Conteh, 8, puts on a hospital gown before doctors remove fluid from her problematic right eye for testing at the Kissy United Methodist Church Eye Hospital in Freetown, Sierra Leone. Long after recovering from the largest Ebola outbreaks in history, survivors continue to experience debilitating complications including uvetis, an inflammation of the eye, leading to severe cataracts leaving the survivor with little to no sight in the affected eye. Doctors from Emory University Hospital have traveled to Sierra Leone to restore the sight of survivors suffering from severe cataracts in an effort to help them return to a more normal life.